Successfully Added V-Max 3D Virtual Reality Headset - For 4 to 6 Inch Smartphones, Adjustable Focal Depth, Pupillary Distance + Head Band to your Shopping Cart. Watch 3D movies in the comfort of your own chair or when traveling, play games and more! Discover the world of VR with the 3D Virtual Reality Headset. Fit for 4-6 inch smartphones and featuring adjustable headband and focal depth. Fill your eyes of 3D wonders using this easily portable VR headset. With so much VR content already waiting for you online, don’t miss another minute and get right into the action. With an adjustable head band, the 3D headset is very comfortable to wear and can fit over your glasses or be used together with headphones. Supporting smartphones from 4 to 6 inches, it is compatible with most models available on the market: Android, iOS and Windows phones. You will be able to adjust focal depth for the best viewing experience and experience the true meaning of immersive gameplay and 3D video watching with 3D Side by Side content. The VR headset comes with a stylish futuristic design and is super easy to use — you are sure to get the hang of it in no time! Simply open the front cover, insert your smartphone. Start up the application (available at the Play Store, App Store and for Windows phones). Adjust the head strap and focal depth for best comfort and image quality and let the fun begin! The lightweight VR headset is the perfect gadget to bring along on a long-haul flight. Your travel time will fly by as you get lost in virtual reality and explore what the future of entertainment has in store. 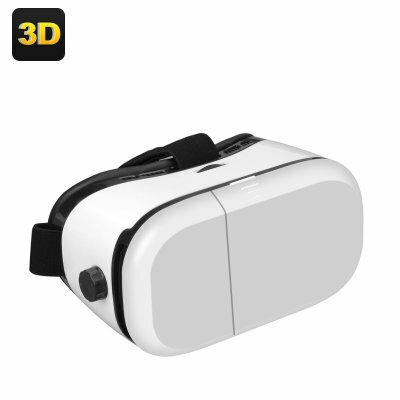 The 3D Virtual Reality Headset comes with a 12 months warranty, brought to you by the leader in electronic devices as well as wholesale VR headsets..